The wide variety of eCommerce platforms available in the market, often leave you confused about which ones to select or avoid. The rapidly changing popularity of online stores have also boosted the market for eCommerce website design. However, it’s important to not get confused about what you need and what you can do without. A gripping layout that lures buyers and potential prospects. Fits into the budget for the organisation, and helps you accomplish realistic returns on investment. Incorporation of tools and features which are trendy; as well as usable and practical for the business. responsive user-interface is critical for targeting a larger audience via many different devices. Easy navigation and a smooth shopping experience and an easy to use check out. Discount coupons and printable invoices are also added benefits for shoppers. A reliable payment gateway and dependable customer support that are available for any issues as they arise. Below is a list of some of the most popular open source e-commerce software applications to give you further insights into options. A market leader, Magento has a number of customisable templates and themes. Yet, if you are not a professional designer or developer, then this won’t be your cup of tea. Magento is the best available choice for those with bigger investment plans, and the need to manage, several businesses from a single database. It’s relatively user-friendly and allows you to expand your software needs alongside your business development plans. This could be considered a more advanced version of Commerce. It’s built on the same code support but targets more technically adept developers and users. Although, it is an open source, users end up paying for the designer and developer, without getting the advantage of a highly personalised appeal for their shopping cart. This is an apt choice for online retailers with limited business needs. It’s more user-friendly for both traders and buyers. Hence, if you are a small or medium-sized online retailer then getting this shopping cart will be advantageous. OpenCart is technically sophisticated and provides easy navigability to your buyers. Although there’s still scope of modification on this platform, it has been able to attain significant amount of interest for itself in the market. There are almost all the qualities an online business owner looks for in an Open Source platform. It provides the benefits of documented transaction and community support too. 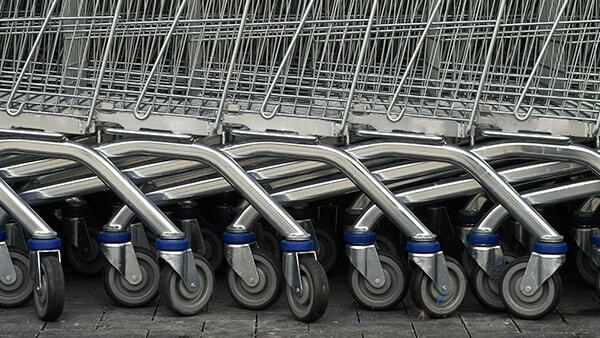 This shopping cart certainly has a brighter scope in the future, with the incorporation of more features. For those who feel that Magento and OpenCart are complicated in managing, switching to this option will serve the purpose. The most populated city of Australia is Sydney. It has registered a steep increase in the number of businesses wanting to enhance their growth online. Therefore a robust e-commerce platform is needed in such a competitive market. Speak with Total Web Design to find out more today.